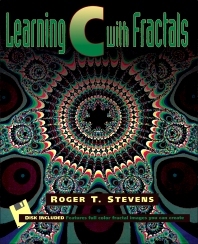 Learning C with Fractals provides the fundamentals of the C programming language and the generation of fractals. The book is comprised of 21 chapters that discuss the aspects of the C programming language. The text begins with an introductory chapter that provides the basic hardware requirements and basic information to get the student started. Subsequent chapters tackle the writing and compiling of C programs; the main program and functions; the program's interaction with DOS (Disk Operating System); and the operators and expressions in C. Topics on initializing variables, conditional statements, manipulating strings, and the different programming functions are covered as well. Computer programmers and those interested in learning computer programming will find the book useful.